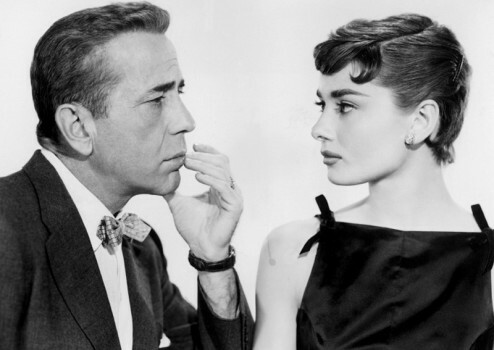 A Sabrina neckline is basically a bateau neckline, named after a dress worn by Audrey Hepburn in the movie Sabrina. 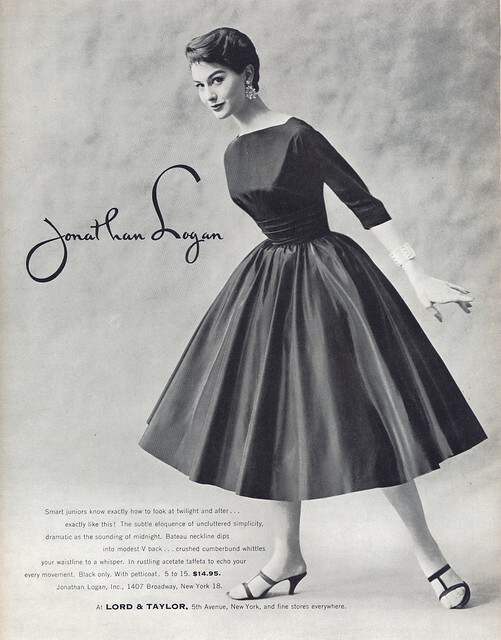 It’s usually credited to Hubert de Givenchy, though it may have been designed by Edith Head. They both worked on the film. 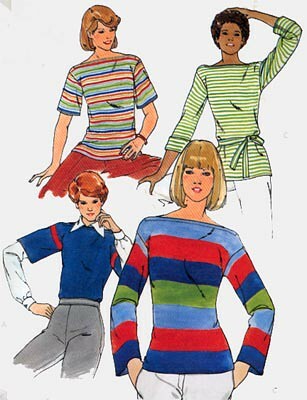 A boat neck, also called a bateau neck or Sabrina neckline, is a wide, high neckline that runs horizontally, front and back, almost to the shoulder points, across the collarbone. For no real reason other than one sounds casual and the other sounds dressy, people are more likely to use boat neckline for casual tops and bateau neckline for cocktail and formal gowns. The Sabrina neckline usually has a little bow on each shoulder where they connect. A ballet neckline is wide and rounded and falls below the collarbone – named after the neckline on standard ballet leotards. Neckline to Necklace Cheat Sheet. A fabulous resource for accessorizing with necklaces. A swing jacket is a short, flared and easy-fitting jacket, usually part of a suit. Swing/swagger jackets originated in the 1930’s but became most popular in the 1950’s. While, it was originally called a swagger jacket, most people use swing today. Currently, sports jackets such as letterman’s jackets are sometimes called swagger jackets. This is a swing jacket from Second Life. Argyle is a plaid pattern distinguished by its diamond shape. It has large diamonds and narrow stripes and is often made with bright contrasting colors. 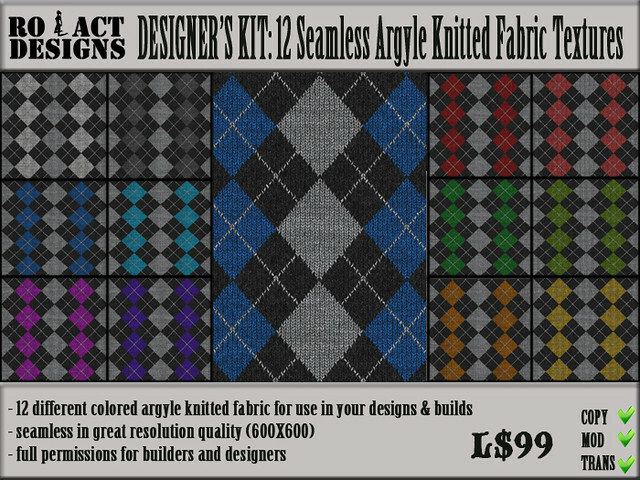 It is most common in socks and sweaters, but contemporary designers look to find new ways to incorporate argyle. Here are some Argyle plaids used in Second Life®.